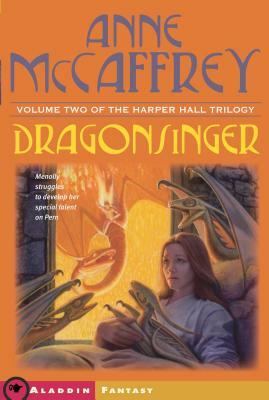 Menolly needs more than music's power to make it as a Harper in the second book in the Harper Hall trilogy, set within science fiction legend Anne McCaffrey's beloved and bestselling Dragonriders of Pern series. In the world of Pern, Harpers are more powerful than kings, for the music they play can control the minds of others. For young Menolly, her dreams of becoming a Harper have nothing to do with power, but rather her love of music. Now she is finally living out her musical dreams as an apprentice Harper, but it's turning out to be more challenging than she thought. Formerly forbidden to study music because of her gender, Menolly quickly encounters hostility from a number of her male peers and masters. With the help of new friends, teachers, and her nine tiny, colorful dragons, Menolly finds that her musical talents may be stronger than anyone could imagine. The classic, inspiring account of a poet's experience teaching school children to write poetry When Kenneth Koch entered the Manhattan classrooms of P.S. 61, the children, excited by the opportunity to work with an instructor able to inspire their talent and energy, would clap and shout with pleasure. In this vivid account, Koch describes his inventive methods for teaching these children how to create poems and gives numerous examples of their work. 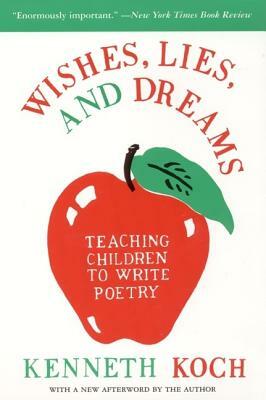 Wishes, Lies, and Dreams is a valuable text for all those who care about freeing the creative imagination and educating the young. This invaluable book shows how teachers, despite the many difficultiesthey face in today's school systems, can make an important contributionto their students' lives and educations. Johnson and Johnson describehow the use of Goal Setting, Praising, and Recovery reinforcesself-esteem and creates a new kind of learning process that will becomelifelong. The One Minute Teacher reveals simple, positive ways to Discover and instill the love of learning Foster success and achievementFeel more confident and happy Bring out the best in ourselves and others Practical, wise, and useful in dozens of everyday situations, The OneMinute Teacher is essential reading for anyone who teaches and anyonewho learns. More than eleven million copies of Dr. Johnson's books are in use intwenty-four languages. 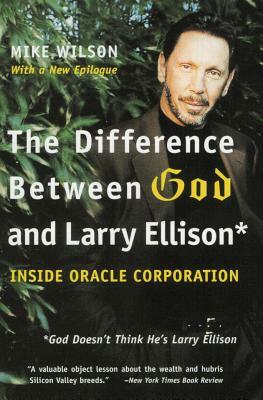 Larry Ellison started the high-flying tech company Oracle with $1,200 in 1977 and turned it into a billion-dollar Silicon Valley giant. If Bill Gates is the tech world's nerd king, Ellison is its Warren Beatty: racing yachts, buying jets, and romancing beautiful women. His rise to fame and fortune is a tale of entrepreneurial brilliance, ruthless tactics, and a constant stream of half-truths and outright fabrications for which the man and his company are notorious. Investigative reporter Mike Wilson, with access to Ellison himself and more than 125 of his friends, enemies, and former Oracle employees, has created an eye-opening, utterly fascinating portrayal of a Silicon Valley success story ... filled with the stuff that dreams and cultural icons are made of. Fueled by a powerful curiosity and the need to see, feel, and hear firsthand and close up, bestselling author Michael Crichton has experienced adventures as compelling as those he created in his books and films. These adventures--both physical and spiritual--are recorded in "Travels, " Crichton's most astonishing and personal work. As a young speechwriter in the Reagan White House, Peter Robinson was responsible for the celebrated "Mr. Gorbachev, tear down this wall" speech. He was also one of a core group of writers who became informal experts on Reagan -- watching his every move, absorbing not just his political positions, but his personality, manner, and the way he carried himself. In How Ronald Reagan Changed My Life, Robinson draws on journal entries from his days at the White House, as well as interviews with those who knew the president best, to reveal ten life lessons he learned from the fortieth president -- a great yet ordinary man who touched the individuals around him as surely as he did his millions of admirers around the world. The life of blues legend Robert Johnson becomes the centerpiece for this innovative look at what many consider to be America's deepest and most influential music genre. Pivotal are the questions surrounding why Johnson was ignored by the core black audience of his time yet now celebrated as the greatest figure in blues history. Trying to separate myth from reality, biographer Elijah Wald studies the blues from the inside -- not only examining recordings but also the recollections of the musicians themselves, the African-American press, as well as examining original research. What emerges is a new appreciation for the blues and the movement of its artists from the shadows of the 1930s Mississippi Delta to the mainstream venues frequented by today's loyal blues fans. A longtime investigative journalist uncovers one of the great untold stories of twentieth-century international intrigue, and the secrets it has held until now. Shipping tycoon Aristotle Onassis and Bobby Kennedy, two of the world′s richest and most powerful men, disliked one another from the moment they first met. Over several decades, their intense mutual hatred only grew, as did their desire to compete for the affections of Jackie, the keeper of the Camelot flame. Now, this shocking work by seasoned investigative journalist Peter Evans reveals the culmination of the Kennedy-Onassis-Kennedy love triangle: Onassis was at the heart of the plot to kill Bobby Kennedy. Nemesis meticulously traces Onassis′s trail - his connections, the way that he financed the assassination - and includes a confession kept secret for three decades. With its deeply nuanced portraits of the major figures and events that shaped an era, Nemesis is a work that will not soon be forgotten. "Amazing....Explores human courage under the most trying circumstances." --New York Post "An inspirational story about business, medical science, and one father's refusal to give up hope." --Boston Globe The book that inspired the movie, Extraordinary Measures, starring Harrison Ford, Brendan Fraser, and Keri Russell, The Cure by Pulitzer Prize-winning journalist Geeta Anand is the remarkable true story of one father's determination to find a cure for his terminally sick children even if it meant he had to build a business from scratch to do so. At once a riveting story of the birth of an enterprise--ala Tracy Kidder's The Soul of a New Machine--and a inspiring tale of the indomitable human spirit in the vein of Erin Brockovich and A Civil Action, The Cure is a testament to ingenuity, unflagging will, and unconquerable love. 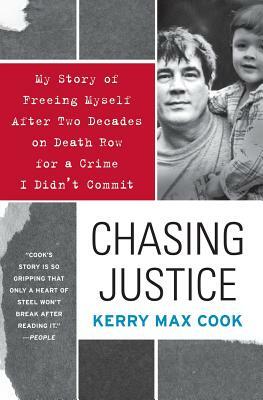 The bestselling author of Blindsided, Richard M. Cohen spent three years chronicling the lives of five diverse "citizens of sickness": Denise, who suffers from ALS; Buzz, whose Christian faith helps him deal with his non-Hodgkin's lymphoma; Sarah, a determined young woman with Crohn's disease; Ben, a college student with muscular dystrophy; and Larry, whose bipolar disorder is hidden within. Differing in age and gender, race and economic status, all five are determined to live life on their own terms. In Strong at the Broken Places, Cohen shares these inspirational and revealing stories, which offer lessons for us all---on self-determination, on courage in the face of adversity and public ignorance, on keeping hope alive. We are all strong at the broken places--stronger than we think. When Warren Zevon died in 2003, he left behind a rich catalog of dark, witty rock 'n' roll classics, including "Lawyers, Guns and Money," "Excitable Boy," and the immortal "Werewolves of London." He also left behind a fanatical cult following and veritable rock opera of drugs, women, celebrity, genius, and epic bad behavior. As Warren once said, "I got to be Jim Morrison a lot longer than he did." Narrated by his former wife and longtime co-conspirator, Crystal Zevon, this intimate and unusual oral history draws on interviews with Bruce Springsteen, Stephen King, Bonnie Raitt, and numerous others who fell under Warren's mischievous spell. Told in the words and images of the friends, lovers, and legends who knew him best, I'll Sleep When I'm Dead captures Warren Zevon in all his turbulent glory. One Tuesday afternoon Allen Rucker, Hollywood comedy writer and family man, wakes from a nap to find himself paralyzed from the waist down. Shocking? Yes. Unfair? Absolutely. Reality? Inescapably. Rucker is shaken up and angry, but soon realizes he's stuck in a wheelchair forever. He begins to reevaluate everything in his life, from the simplest bodily functions to the mysteries of the universe. Luckily, he's invited us along on the bumpy, poignant, and often hilarious road to recovery that leads him to completely redefine his life. The Best Seat in the House is Rucker's unpretentious, unapologetic, refreshingly comic, and powerfully heartfelt paean to life and its fragility, and to the resilience and adaptability of a single, normal, very funny human being.